Over the concerns over the growing Chinese influence in Australia's politics, the country has ordered an inquiry into the espionage laws and foreign government interference. 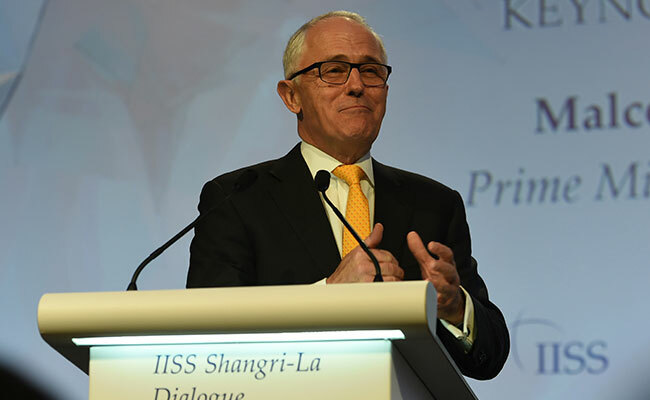 Australian PM Malcolm Turnbull to review espionage laws and foreign government interference laws. Sydney: Australia has ordered an inquiry into espionage laws and foreign government interference amid growing concerns about Chinese influence in the country's politics, it emerged Tuesday. The move follows an investigation that discovered the nation's spy agency had warned the country's political elite two years ago about taking donations from two billionaires with links to the Chinese Communist Party. Their investigation showed that property developers Huang Xiangmo and Chau Chak Wing, or their associates, had donated around AUS$6.7 million to political parties over a decade. Chau is an Australian citizen while Huang's citizenship application has been stalled by Australia's spy chiefs, ABC said. Both reportedly have connections to the ruling Communist Party. The investigation, aired on Monday evening, said intelligence agencies had major concerns that China was interfering in Australian institutions and using the political donations system to gain access. "Early last month, I asked the attorney-general to review our espionage laws, to review our laws relating to the activities of foreign governments in Australia and he is going to present a report on what changes we may need to make," Prime Minister Malcolm Turnbull told reporters. "But we take it very, very seriously. The sovereignty of Australia, the sovereignty of our democratic processes, free from foreign interference is a matter of the highest concern." The revelations come with Russia accused of interfering in the American and French political systems. Attorney-General George Brandis said he was examining whether espionage offences in the criminal code were adequate. "The threat of political interference by foreign intelligence services is a problem of the highest order and it is getting worse," he said. "I will be taking legislative reforms to Cabinet with a view to introducing legislation before the end of the year." Labor leader Bill Shorten said the party no longer wanted money from Chau or Huang. The ABC said Chau declined to answer questions because he was travelling while Huang said in a statement it was regrettable the broadcaster "would seek to question my motives and undermine my reputation based on recycled news reports, dubious assertions and innuendo".